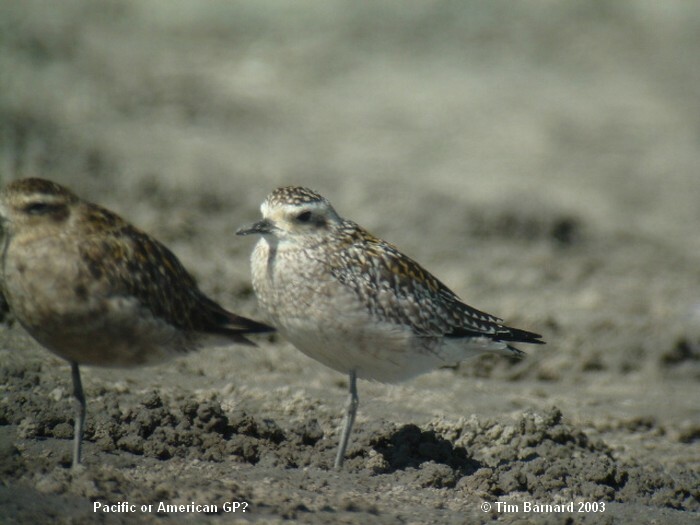 Pacific or American golden plover? 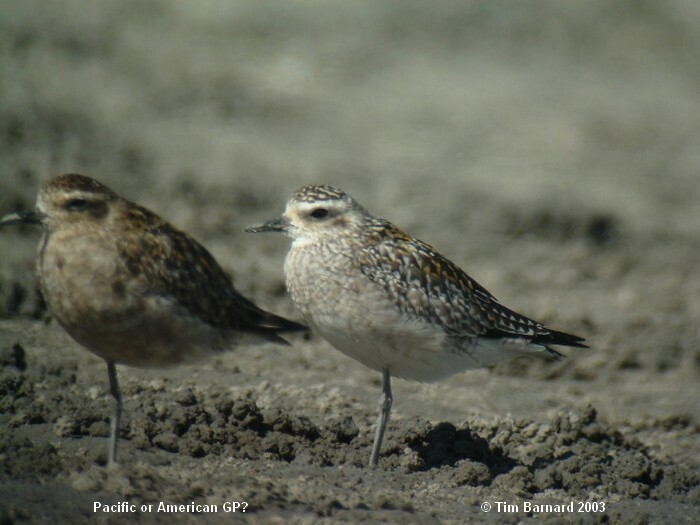 This ‘strange’ golden plover (centre pale bird) was seen and photographed by Tim Barnard on 2 December 2003 at Little Waihi, near Maketu in the Bay of Plenty, New Zealand. It appears nothing like any golden plover we have seen in New Zealand before, and could well be a possible American golden plover. However, the separation of the two species is fraught with difficulty and much debate has ensued. If you are prepared to make a suggestion, please email us.